One97 Communications Ltd, which runs mobile payment and e-commerce platform Paytm, will raise an undisclosed amount in funding from Mountain Capital, one of the investment funds of MediaTek Inc, it said in a statement. The funding will be used for expanding, boosting payments and commerce and building its proposed payment bank, which is expected to be launched soon. The deal comes a couple of days after VCCircle reported citing sources familiar with the development that the company had received an investment commitment of $60 million (Rs 403 crore) from MediaTek’s Mountain Capital. Several media reports also said Paytm was in talks to raise as much as $300 million (Rs 2,000 crore) from MediaTek, Goldman Sachs, Singapore's Temasek and other investors. However, e-mail queries sent to founder and CEO of One97 and Paytm Vijay Shekhar Sharma did not elicit any response at the time of filing this report. “India is an important emerging market with immense potential for smartphone devices, mobile payments, commerce and financial services. MediaTek’s endorsement on Paytm through Mountain Capital demonstrates its confidence in the proliferation of India’s digital payments and mobile internet ecosystem,” Sharma said in the statement. VCCircle had earlier reported that Paytm is issuing shares at Rs 6,650 each, valuing it at $4.8 billion (Rs 32,250 crore) post money. This was the same level at which Alibaba Group put in some money from a larger tranche of investment last November, according to VCCEdge, the data research platform of VCCircle. Alibaba, along with its payments arm Alipay, owns around 41% of One97 and is the single-largest shareholder of the firm that operates Paytm. 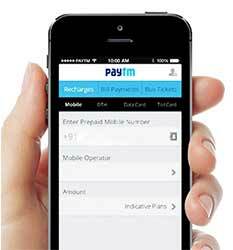 Paytm, which is one of the 11 recipients of the payments bank licence, is likely to launch the business during this festive season. In February, it had also hired former RBI executive Shinjini Kumar to head this arm. Paytm is considered the market leader in the mobile payments space followed by MobiKwik and with Snapdeal-owned FreeCharge snapping at its heels. The high potential investor interest in Paytm could also probably be attributed to the fact that India is taking baby steps toward a shift to a cashless economy. Last Thursday, the National Payments Corporation of India (NPCI) launched the unified payments interface (UPI) that will make it possible for customers to make everyday payments with just a few taps on their smartphones.